27 | April | 2015 | TALK & OPINIONS BY SILVIO CANTO JR. GUEST: Jorge Ponce, Cuban American writer and contributor to Babalu Blog…..We will look at the latest in US-Cuba talks……the removal of Cuba as a terrorist nation……..the impact of the Cuba decision on 2016 politics……also a quick update on an upcoming show with Professor Alfred Lopez about his new book about Jose Marti…..
Before leaving office, President Mujica of Uruguay took 6 of “Gitmo’s finest”, or some of the worst criminals and terrorists sitting in that prison. It started out as a little “leftist play” by the very leftist Mujica. Like many in the left, Mr Mujica never understood why these men were sitting in prison. My guess is that no one is laughing anymore at Mr Mujica’s move. “Uruguay’s foreign minister said Monday that six former Guantanamo Bay detainees resettled here will be out of a house and off public assistance unless they agree to terms they have so far rejected, the latest in an increasingly public battle over who is financially responsible for the men and for how long. Foreign Minister Rodolfo Nin Novoa made the statements to reporters as four of the men kept up a protest in front of the U.S. Embassy that they began Friday, spending the nights with sleeping bags. The agreement drawn up by a local agency that works with the United Nations High Commissioner for Refugees promises the men free private housing through February 2016 and a continuation of the monthly stipend of $600 (15,000 pesos) that they have been receiving since arriving. I feel bad for the good people of Uruguay. They are now stuck with 6 criminals who have no plans to adjust or conform to a Western way of life. This is Mujica’s little mess. 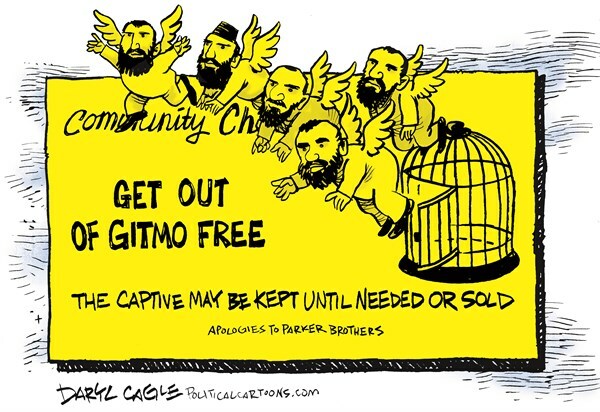 I guess that Mujica never understood why these 6 men were in Guantanamo. 2) This is why most countries have not taken men from the prison. The US has been offering to relocate these men but most countries say no. Wonder why? Maybe Mr Mujica should have done his homework before bringing these 6 problems to Uruguay. The US government never agreed to support or provide any assistance for the six men. They were flown to Uruguay with no guarantees. What do we do now? Let’s start by having the 6 terrorists move in with Mr Mujica! He should be responsible for them since he made this mess possible in the first place. 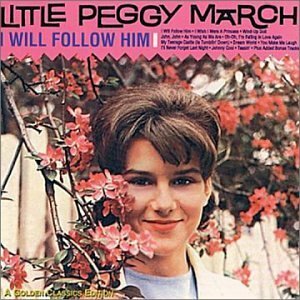 Some of you may remember “I will follow him” from “Sister Act”, the movie with Whoppie Goldberg…..
“On April 27, 1963, Margaret Annemarie Battavio’s very first single, “I Will Follow Him,” reached #1 on the U.S. pop charts. Tagged with Peggy March "I will follow him"
Should the Democrats nominate someone who skates ‘close to the line on ethics’? SERVICE AT the highest levels of the United States government demands a certain instinctive sensitivity to right and wrong when it comes to ethics. So much can happen belowdecks that a Cabinet member or president must set high standards and expect that subordinates will follow the example. This is why the latest disclosures about the Clinton Foundation’s donors raise new concerns about Hillary Clinton’s presidential quest. Yes, the concern is simple: Can you trust them? I say “them” because both Clintons will be living in the White House if she wins. Are the Clintons capable of putting their desire for wealth above the nation? When the Russians sought to expand their holdings to 51 percent of the company, it required approval of the U.S. government, including the State Department, when Ms. Clinton was secretary of state. The transaction was approved in 2010. More donations to the Clinton Foundation — millions of dollars — flowed from people connected to Uranium One. The same month the sale went through, the former president gave a talk in Moscow sponsored by an investment bank for $500,000. The investment bank was promoting stock in Uranium One. Though there is no evidence of a quid pro quo, on the merits the deal was bad for U.S. interests: Vladi­mir Putin can now boast of control of more than a fifth of U.S. uranium reserves. The Clintons have sought to do good works with their foundation, but this is not about the works. It is about the fundraising, both for the charity and for the Clintons’ personal benefit. Besides the Uranium One money, millions more dollars have been contributed by foreign governments and interests with a stake in State Department decisions, or in a future president. Bill Clinton, The Post reported, has raked in close to $100 million in speaking fees between 2001 and 2013, a staggering sum that far exceeds the self-marketing of any other president. It smells bad. It raises a simple question: Are these people honest? Are they interested in promoting themselves or the nation’s interest? The Clintons, and the Carvilles and Begalas of the world will say that there is nothing in writing connecting the donations to public decisions. That’s true! At the same time, there is enough circumstantial evidence here to argue that the Clintons were looking out for themselves and not the country. It’s up to the Democrats now. They can send their voters, and the nation, a message that they don’t like this anymore than the rest of us do. They can start by demanding that Bill and Hillary Clinton answer questions about this scandal. Chelsea Clinton is a very nice young woman. However, she shouldn’t be the only Clinton explaining what this is all about. Blog: Should the Democrats nominate someone who skates ‘close to the line on ethics’?.